The Creative Learning Programme at Blackpool’s Grand Theatre is a collection of many different projects. Below are just a small selection of the projects the Creative Learning Team working alongside Touring Companies, Actors, Choreographers and other specialists work on. If you are interested in any of these projects please contact the Creative Learning Team here. Arts Award offers young people an inspiring arts journey. Arts Award’s unique qualifications support young people to develop as artists and arts leaders. The programme develops their creativity, leadership and communication skills. Through working towards an award young people learn to work independently, helping them to prepare for further education and employment. For further information on how you can participate in a Grand Theatre Arts Award please contact the Creative Learning Programme, Jo Cleasby joc@blackpoolgrand.co.uk or call 01253 290190. The RSC Associate Schools Programme is a new partnership programme with regional theatres and schools across England. The RSC Associate Schools Programme builds on the success of the Learning and Performance Network (LPN) which celebrated its ten year anniversary in July 2016. Over the past 10 years the LPN has worked in long term partnership with 507 schools, 11 regional theatres (of which Blackpool’s Grand is one), 1,320 teachers and reached an estimated 690,000 students. For further information on how you can participate in RSC Associate Schools programme please contact the Creative Learning Programme, Jo Cleasby, joc@blackpoolgrand.co.uk or call 01253 290190. The Grand young Company are a performance based after school group that meet every Wednesday night between 6:30pm to 8:30pm in TheSTUDIO at Blackpool’s Grand. It was set up for Young People between the age of 14 to 19 who are interested in building their performance skills. 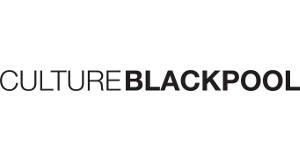 For further information on how you can participate please contact the Creative Learning’s, Phill Fairhurst, philf@blackpoolgrand.co.uk or call 01253 290190. The Grand Theatre Blackpool has launched its Junior Artists Programme. This is an Arts and Resilience 2 year programme supported by Curious Minds, Ragdoll, Blackpool Schools partnership and Headstart. It aims to use storytelling, song and design to explore and understand resilience. The Junior Artists will participate in the creative process to build new positive relationships and skills, giving them ownership and a voice. For further information on how you can participate in a Grand Theatre Arts Award please contact the Creative Learning Programme, Phill Fairhurst, philf@blackpoolgrand.co.uk or call 01253 290190.